This is not a normal App review... it is a reminder to ensure you download the free '12 Days' App from iTunes. You then need to make sure that you check the App or your email to find out what freebies Apple is offering us for the 12 days from Boxing Day. It's not often you get something for nothing so go ahead and enjoy, without moderation. This App is to be used in conjunction with D-Link cameras. It enables you to see (and depending on the model) hear what is going on wherever you have placed the camera. Obvious applications are home security and baby monitoring. You can set up your camera(s) to send you either periodic emails of photos, or whenever movement is detected. You choose which camera to monitor down the left hand side of the screen and then view it on the right hand side. It really is as simple, and basic, as that. You can double tap the screen to zoom to full size, as well as magnifying two, three, or four times. The magnification is of relatively limited use as it merely magnifies the centre of the image; there is no pan function. In addition you can choose whether or not to mute the sound and also take a snapshot at any moment. This picture is saved directly to your photo album. If you are using multiple cameras, there is also a multiple camera view screen showing up to four camera sources at a time. Setting up the email notification is somewhat cumbersome but well worth the effort. The App is free and the essential (it is a prerequisite for the App to work) subscription to mydlink is also without cost. It goes without saying that the cameras are not without cost but, they are inexpensive and available here. If you're using a d-link camera already then, it would be foolish not to have the App. If you are looking for a highly sophisticated security system then, this does not quite cut it but is at least a start. I haven't encountered any problems; long may it continue. The quality of the image is excellent, considering the cost of the cameras. When opening your mydlink account, make sure (as I'm sure you always do) to use a strong and unique password. If anyone hacks into your account then, not only will they have access to the live streaming from your camera(s) but they could also stop the service. A good start to home security. You can get mylink + here and support for the App here. 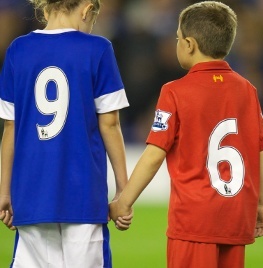 The aim is simple - to get the song to Christmas No.1 in tribute to the 96 fans who died at Hillsborough and the fight for justice which has never ceased since that fateful day in 1989. Get it now on iTunes. This is a sister App for FlightBoard which we have previously reviewed. With this App you can track the progress of a flight. Not only do you have actual departure and arrival times but the actual current position. It enables you to annotate your flight details and also (but only with certain carriers), see the seating plan for the aircraft, so that you can select the most 'comfortable' seat... regardless of the information the airline might provide. It's a cinch to add a flight, even with only partial information; you can easily search for the actual exact flight you are looking for. The direct route path is then displayed on a map of the world which can be zoomed however you want. If you have a lot of flights (and some are in the past), it is useful to delete some, as the display could become a bit like an intricate knitting pattern. Any flight entered will display the time it actually left the gate, as well as the actual arrival time. This is a low cost App. If you already have FlightBoard then you need to consider how the modest cost compares to the additional features. It also very much depends on how much scheduled air travel you are involved with. The App works perfectly but obviously the data is subject to the information provided by airports. A neat App for travellers. You can get FlightTrack here and support for the App here. If you live in a house or apartment where everything can be remotely controlled and timed, this App will not interest you. If you're still reading, you are very much in the majority. myStrom is a true game changer; I've been waiting for something like this for years. The App itself is designed to control three types of switch. The 'Red' switch connects directly to your Internet router and is the control centre for your installation; it should always be 'on', otherwise you lose the ability to remotely control. The ‘White’ switch, of which you can have up to 25, is the foot soldier; these are used to control any electrical appliance that is plugged into the mains and also to monitor electricity usage. The ‘Blue’ adaptor extends your network with an Ethernet socket, as well as acting as a switch. The solution is marketed as a way of monitoring electrical consumption and switching off any device remotely. Obviously, it will reduce your electricity consumption (hence costs) by switching off unnecessary appliances. Moreover, there are massive savings to be made in addition to the electrical ones. I am using one switch to control an oil-fired boiler and the savings are substantial in reduced heating oil consumption. There are however applications where it will increase (!) consumption, and you will be only too pleased. I am, partially, using the system to control many different light switches which act as a burglar deterrent. Not only is each device individually programmed but it can also be overridden at any time with the App. The main screen allows you to choose to display your individual switches in either matrix or line view. It cannot be ordered which is a bit of a shame but, there are plenty of positives. In matrix view you can easily switch any appliance on/off, and the background changes from grey (off) to green (on). Additionally, in list view, you are also clearly informed of the state of any timer(s). Any switching you do overrides the timer, until the preprogramed timer takes the switch to the opposite state (in exactly the same way as a mechanical timer). It’s worth noting that you can only adjust a timer using the web interface. You can easily also have access to overall usage and individual switch consumption, analysed by day, week, month, or year, and all this either in electrical units (Watt or KWh) or hard cash (you choose your electrical tariff by provider). If you manually change the state of a switch, this is immediately reflected in the App; neat. The App is free... the switches that are controlled are obviously not! In order to have access to your switches via the App you need to open an account with myStrom. There are two levels: the Basic account is absolutely free but limited to turning appliances on and off; the Premium account also allows the use of unlimited timers on each individual switch, as well as detailed consumption monitoring, and the ability to receive e-mail or SMS alerts if there is ‘excessive’0 consumption (you decide what this is per node). You might want to try the Basic one to convince yourself but, I’d be very surprised if you don’t upgrade to Premium; it’s well worth the small cost. If you try it, you will wonder how you ever lived without it. Once everything is properly set up, it has worked flawlessly. A word of caution though if you are installing many switches. You have the option of either following the manual and pairing every switch individually, running from sender to receiver and back again to your PC (which will almost certainly be at the sender end) for every switch; you could view this as an additional saving and cancel your gym membership. The alternative is to ignore the manual and use an extension lead to pair each additional receiver from the comfort of your desk, and then simply take your time to plug each one into whatever socket you wish to use. If you do encounter a problem, the customer support is extremely responsive. As far as the App is concerned, I think one can be fairly relaxed… in the sense that all you are doing is checking the information on myStrom’s servers and possibly altering the state of switches. Shangri-La... maybe not quite but certainly well on the way there. You can get myStrom here and support for the App here. There are no perfect solutions for sharing your Microsoft Office (Excel, Word, PowerPoint); this is the nearest I have seen so far. This links with Dropbox, as well as box and Google Drive. The synchronisation is effected via CloudOn's servers and your chosen syncing account. You have to be connected to the Internet in order to use the App. The contents of your Dropbox are shown as neatly arranged folders and files; a joy to behold. There has clearly been a lot of thought and care that has gone into the interface. Files are neatly ordered by syncing option (such as Dropbox) and then by folder. It is also an absolute doddle to go back to a recently opened file. A small criticism is that, having selected the file you wish to view or modify, it takes a while for the file to appear to be loading; when it does, there is a very pleasing progress bar that keeps you informed. The reason for this time lag is that not only is the App involved but also your Dropbox (or box or Google Drive) connection and the link with CloudOn's servers. Any file you modify is clearly marked as such on your iPad, and you can make annotations so that you can remember what you did; all very useful and elegantly implemented. CloudOn only works in landscape mode which is not really a problem but, you need to be aware of it, before thinking there is something amiss with your iPad, and thinking that maybe your side switch is not functioning. This App is currently free but I cannot believe this will continue forever. I suspect that the solution, which includes having a (currently) free CloudOn account to manage the synchronising must become a chargeable option, or it cannot make sense for the developers. They have clearly spent a lot of time (and money) in getting an App that looks and works as well as the very best. If you need to edit (and not just view) Microsoft Office files then, you need an App and, currently, this is probably the best. The concern might be that this is a 'puppy dog sale'. After becoming reliant on the App, hopefully the price of keeping it will not be unreasonable. Of course, this might just be a case of being overly cautious on my part (once bitten and all that). Apart from the previously mentioned time to load, there are no problems, provided that your localisation (or localization!) is United States. If it is not then some strange things will happen, in particular with dates. The USA uses mm/dd/yyyy, whereas most other countries use dd/mm/yyyy. If you enter the date as dd/mm/yyyy it will be incorrect in a non US formatted document. The workaround is to enter the date as mm/dd/yyyy and all will be fine, it will even display as you had originally intended. The developer assures us that "none of your files are stored permanently on any of CloudOn’s servers. They are pulled only when you need them, saved back to your original storage provider and then wiped from our system. Your credentials are encrypted using secure hashing technology and all communication between your workspace and our server is secure using 128-bit/256-bit encryption. ". The potential risks with Dropbox have already been covered in the App review. With the localisation issue resolved, this an absolute 5 (certainly as long as it's free). You can get CloudOn here and support for the App here. This is a neat little App for keeping your Internet Service Provider 'honest'. It's surprising how some ISPs promise lightning fast speeds (alright, it's actually bandwidth) and then do not deliver. This is even more important when ISPs have tired offerings, where the amount you pay varies with the 'speed' you sign up for. Bring on the refunds! After finding the nearest server is found a speedometer displays the Ping, Download, and Upload speeds. These are than available as values in a dated listing. You can therefore also compare the most recent result with previous recordings, thereby testing that there isn't a steady (or not) decline in your access speed. It is also interesting to compare values at locations other than your usual one, thus finding out the true speeds of connections. If you believe everything your ISP tells you, I guess it's useless. The App has always worked... which is more than can be said by the quality of the connexion. None of your personal data is transferred, so there should be no issues. You can get Speedtest.net Mobile Speed Test here and support for the App here. If you can't stand lists (or people who use lists), look away now; this is definitely not for you. if you're still reading then, you have found an App that handles lists, especially ones you reuse, with elegant ease. Paperless is not a substitute for a task management system but, it handles all sorts of lists and check lists (with and without completion boxes). Taking the simplest form of list... a shopping list, that easiest of tasks that is full of pitfalls. You can enter your shopping list and then enter individual notes (the blue tin, do not buy brand X if unavailable). Lists can easily be imported as text from other sources. Lists are assigned individual names and icons, making them easy to recognise. You can then easily change the order, not only for your lists, but also the content of those lists (taking the earlier shopping example, you can have it ordered so that you don't need to walk round the supermarket three times, unless you need the exercise, in which case you could make it even more complicated). Each item can have a check box (or not) and as you tick, the item is moved to the bottom of the screen. Once you have finished, if it is a list to reuse, just use the 'uncheck all' button and you have your list ready for next time. It's very easy to use and pleasing to the eye. There are two versions of this App. Paperless Lite is absolutely free and allows you to check out how well it works. The limitations of the Lite version are that it is limited to 30 items and cannot synchronise with Dropbox. Once you are convinced that this App is for you, just upgrade to Paperless; it is a low cost App. Well, this all depends on your view of checklists! There is no sharing of information, except for Dropbox on the full version, so no security issues. Must have, if you're into lists. You can get Paperless here and support for the App here. There are truckloads of translators on the Internet, many of which end up getting you to download something for free and then charge you for using it (and it doesn't matter what language you put that it, it still means the same. You simply enter the word, or phrase, you want translated and choose the target language. This works surprisingly well, although it could be because English is often used as the base language, and additionally does not differentiate between UK and USA spellings. There is a 'voice' option which, in addition to giving you a written translation, provides an audible translation. This seems to work quite well in some languages, with a very realistic male or female voice. Some other languages are supported with a synthesiser which is not quite so realistic. Another option is to email a translation. This would be very useful except that only the translation is written on the email, not the source. Free Translator only provides one translation of a word. This can be a problem, the simplest example of which is when a word in the native language is a verb and a noun; the translation will only give you one word. In some ways, phrases are better handled than individual words. Although the App keeps a list of your translations (which you can delete individually, or all), in order to effect a new translation, you must be connected to the Internet; there is no resident dictionary. You can get Free Translator here and support for the App here. This is a very handy App, especially for people who prefer writing with a pen, rather than using a keyboard. You simply enter your notes onto a 'sheet of paper' on your iPad, using a finger or a pen adapted for the purpose. What differentiates this App is that the notes you have entered can then be transcribed into text, which in turn can be emailed, or shared via Evernote, Dropbox, Facebook, or Twitter. It really is just like writing on a sheet of paper, except that when the side of your hand touches the screen (when you are writing), this is also recognised by the iPad as input. In order to reduce the interference, there is a mask (similar to an old fashioned blotter) that you pull up from the bottom of the page. The recognition works surprisingly well, and the paid version allows the conversion to take place without an Internet connection. A shortcoming of the paid version is that although your notes are arranged into individual (very pretty) 'books', when it comes to converting the text, it can only be done one page at a time. There are two versions: MyScript Memo (free) and MyScript Notes Mobile (small charge). How much you dislike using a keyboard will decide ion your attitude to whether or not you can live without this App. The text 'translated' from your scrawl to editable text is not totally accurate, and one cannot realistically expect anything else. If you use the free version then the translation takes place online, so your notes are 'shared', at least temporarily, although this is only a relatively low risk. 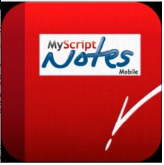 You can get MyScript Notes Mobile here and support for the App here. If you’re expecting to be able to sit at your desk with your iPad (having thrown away your PC keyboard and mouse, prepare to be disappointed. On the other hand, if you sometimes forget a file or require a piece of information from your PC then, TeamViewer is absolutely brilliant. Two recent uses of TeamViewer (both when being hundreds of miles, from my PC): I was convinced that a file I needed should have been in my Dropbox. I just accessed my remote PC and found the file on my Desktop (apart from both beginning on' D' and having seven letters, not much else in common). It was then simple to use TeamViewer to move the file from the PC Desktop to Dropbox. Hey presto, the file was now available on my iPad. Another example was that video from a security camera was not showing on the iPad. A remote visit to the PC showed that the software had crashed. It was a cinch to reboot it remotely using TeamViewer.... saved me from having to go back and investigate. There are icons to choose whether you I want to control your PC with a mouse or a keyboard, or the function keys. The issue is that you can (not surprisingly really) only use one at a time. The super easy task on a PC of opening an application is somewhat more complicated with TeamViewer. First you need to navigate to the application. You need to stroll to it first. This is a bit counterintuitive as the scrolling is the ’moving' of the virtual PC screen… what you are actually doing is moving the pointer, which is not in the same place as your finger on the iPad screen. Once the pointer is over the icon, you can tap the iPad screen anywhere and the application will then open. It's a bit disconcerting at first but once you are used to it, it's not a problem. There is a free version which is up to the job, so you can experiment at no cost. Your PC must be switched on for the App to be able to function. Conversely, you can switch your PC off using TeamViewer. Beware that leaving your iPad lying around would also give prying eyes access to your PC. You can get TeamViewer here and support for the App here. Keeping track of your flight when you are at the airport is straightforward but, checking on flights for someone else (perhaps going to collect them) is a different matter. Each airport has its version of a flight board and, of course, its individual web address. It can be a bit of a nuisance keeping track of all this information. FlightBoard gives you a consistent interface (very much resembling a departure/arrival board); all you need to do is choose the airport (either incoming or outgoing) and you will see all today's current flights. The resemblance to a traditional airport flight information system makes one immediately at ease with the App. You could go the 'traditional' method of bookmarking individual airports, so the App is in no way indispensable. Having checked this on numerous occasions, it seems that the dependability relies more on the honesty of airlines and airport (those 'on time' ratings being so important) than the App itself. If the information from the airport is incorrect, the App cannot filter this. It would have been a 5 but for the information sources (how many honest airlines do you know? You can get FlightBoard here and support for the App here. I guess flash cards are an old-fashioned concept. You know the thing, where you have a question on one side of a card and the answer on the other; it is a way to learn that has been practised for a very long time. This is the same idea but brought up to date. The questions and answers are input on a PC and then used on your iOS device (or PC). There are also masses of existing cards that are shared by the community (links below). This App is useful whether you want to help your child learning maths, memorise capital cities, flags, foreign vocabulary... the possibilities are endless. You can create cards from scratch, or use one of the 68.1 Million (no, I haven't counted them) Flashcards that are on the developer site (link at bottom). As iOS devices only have a screen on one side, the interface shows an upper and lower screen where the upper screen has the question and the lower part of the screen only shows the answer when you flick the page; very neat. You then score yourself as being correct and incorrect and Flashcards keeps score for you. There is the (very necessary) option to shuffle the cards; it becomes too easy otherwise. It really is very neat, although the application is designed for the iPhone so, on the iPad, the screen is filled by using the '2x' button. The App is free, as is the developer site with access to all those existing cards. You are encouraged to contribute to cards available to others, and donations are graciously accepted. It all depends on whether this method of learning suits you. If it does, it sure beats bits of paper. You can get Flashcards here and support for the App here. Life's been a bit serious recently, as have the App reviews. Fake the Weather is a nifty little App that enables you to choose your weather forecast for any location. This is ideal for 'convincing' others to either go, or not go, somewhere. Remember though, it's just for fun. You enter the information for the required place and choose from a variety of weather backgrounds. You can have it snowing in Rio, or equatorially hot on a mountain (or whatever takes your fancy). It is very easy to use. This is just for amusement. It always works, although it is unlikely your weather forecast will be accurate. No issues… unless you upset the wrong person. I can't rate it 5 or you won't take me seriously! You can get Support here and the iPad App here. We are all born as innocent babies; life then makes us less naïve. For some strange reason, what becomes our inherent suspicion all too often does not extend to the Internet. If you met someone in the street for the first time and they promised you the world, it is unlikely that you would continue the conversation. A polite 'goodbye' may well be the best that you could manage. On the Internet, we are plagued by unbelievable promises... and the reason we are is that many people fall into the (honey) trap. Hopefully, none of you are being tempted by the 'please help me transfer these funds' kind of emails; these were prevalent a few years ago but seem to be few and far between nowadays. Whatever security you set up for your email, it will not be perfect. If you are too draconian in your approach and automatically delete all 'unwanted' email using some spam filter, you will undoubtedly also (occasionally) miss a genuine message from a friend or colleague. So, here are a few suggestions for protecting yourself whilst not missing out on genuine communications. Set up a spam filter. There are lots of free ones available for all operating systems; just Google 'spam filter' and make your choice. I use SpamBayes which has a version for many email clients, is easy to use, free and is trained by you (believe me, this is a big advantage; would you let someone else train your dog?). Some emails are obviously spam, even if they get through your spam filter. Do not delete them immediately (yes, I really meant to write that). Firstly, tell your spam filter that the email is junk. That way, you are training your filter. Just because an email seems to come from a 'trusted' email address does not mean that it comes from who you think it does; spammers can (and do) hijack email addresses. and can then spend a frustrating time deleting it. If you receive an email asking you for personal information (including passwords), do not reply. Instead, forward it to the organisation from which it purports to originate, asking them whether it is genuine or spam (it will possibly be fairly obvious so, couch your message in appropriate terms). If there is a link in an email you receive do not click on it until you are sure of the provenance. Just because you see 'Facebook' in blue does not mean that the link is back to Facebook (or whatever). Hover over the link to see the target, or copy the link to your notepad to see where it is taking you. Do not be satisfied that the target site is genuine just because the word 'Facebook' is part of the path.